There are some problems that may occur with your air conditioner. It is recommended that you take a look at some possible factors that can cause these problems. These aircon problems should be solved as quickly as you can, so you can maintain the function of your air conditioner. 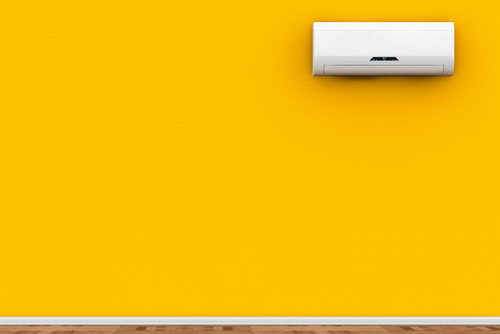 Here are some common reasons why your aircon is not cold anymore. This is one of the most common problems that people have with their aircon units. When you have some rusty parts inside your air condiitoner unit, your device is not able to function properly. As the result, you are going to lose the function of your air conditioner. When you have this problem, you have to replace some rusty parts with the new ones. It is recommended that you buy the original parts for your aircon units. Try to contact the manufacturer or company of your air conditioner. You also need to call professionals to install these new parts in your unit properly. They usually have proper skills to install these new parts completely. Thermostat is an important item in any types of aircon units. This device is very effective to control the temperature of your air conditioner based on your preferences. There are some cases when this thermostat may be damaged for any reasons. Faulty thermostat is not able to control the temperature of the air conditioner properly. This is another reason why you may have hot air coming out from your aircon unit. There are some online stores that sell new thermostat for your aircon unit. Make sure that you choose the right unit that is suitable for your models or brands. Most aircon units usually produce cold air from their fan. Therefore, you have to maintain the function of this fan inside your air conditioner. When this part is broken or damaged, your air conditioner is not able to produce cold air to your room. There are many factors that can cause broken fan. Dirty unit is the most common factor that can damage your fan unit. It is important that you clean your aircon unit regularly to prevent this problem from happening in the future. This is another reason why your aircon unit is not cold anymore. Your unit can work properly when it has well-functioned system. However, this system can be blocked by some impurities or other objects. When the air inlet or outlet is blocked by certain objects, your air conditioner is not able to produce cold air. Make sure that you have regular cleaning procedure to remove some of these objects from your system completely. Some homeowners are not able to find the best air conditioner with the right size for their rooms. When you choose the wrong size for your air conditioner, this unit doesn't have proper capacity to cool down the temperature of your room. The only solution for this problem is replacing your current aircon unit with the new one. Make sure that you consult with the aircon sellers to find the right unit that is suitable for your room size. Your aircon unit is going to produce cool air based on the air flow system in this unit. Therefore, you have to manage this system properly, so you can get all benefits from this unit. Improper air flow direction can reduce the ability of your air conditioner to cool down the temperature of your room. You have to read the instruction manual to fix this problem immediately. You only need to adjust the air flow direction to achieve your ideal result. This is another common factor that can reduce the ability of your aircon unit to cool down your room. Dirty air filter can be caused by irregular maintenance procedure. It is recommended that you clean your unit regularly to remove some impurities or other objects from the air filter. Clean filter can help your air conditioner deliver cool air to your house easily. They are top 7 reasons why people have problems with their air conditioners. You can call some professionals when your air conditioners cannot produce cool air to your room. You can contact your favorite aircon service company today to discuss about this problem. A good company usually has the best solution for fixing this problem immediately.